Storage shelves - can be set at adjustable height. Linen bags - easy to install and remove. 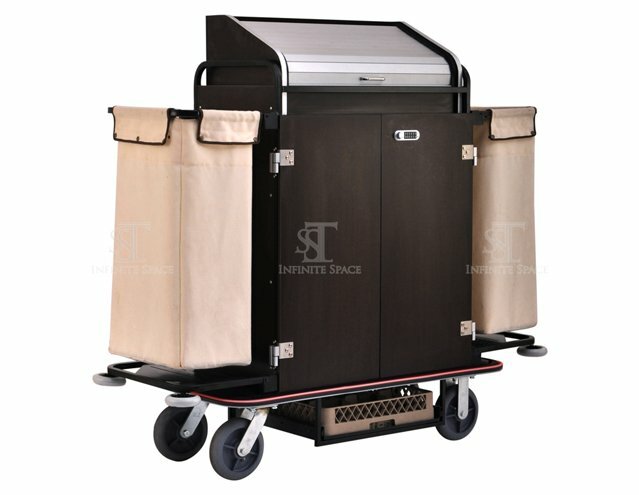 Senior & Junior - this cart design comes in a standard and smaller version, so it is also suitable for narrow corridors and smaller rooms. 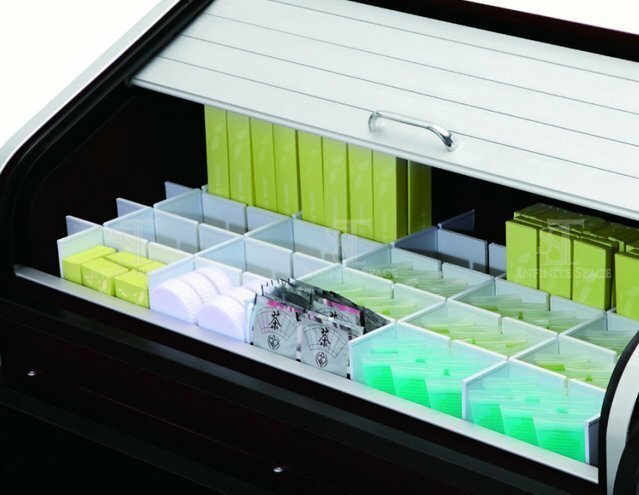 Top tray cabinet with lockable roller cover. LED light rim with rechargeable battery. *** Switch on the lighting to indicate that the cleaning of the room is in progress. Holder for standard vacuum cleaner. 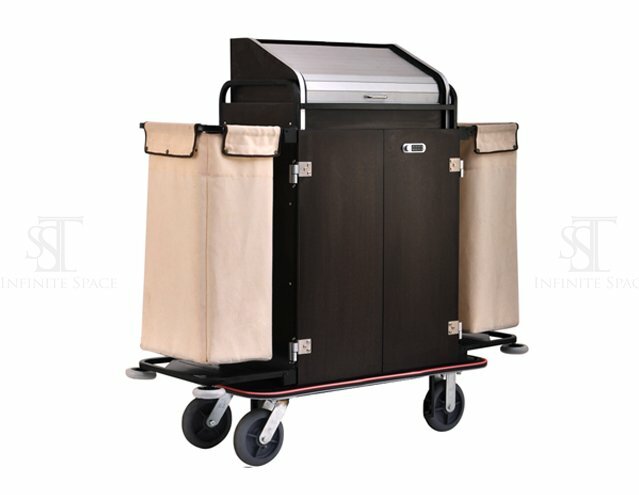 Upgrade your trolley with our top tray cabinet with roller cover (lockable) and organizer tray with adjustable compartment sizes. With rechargeable battery to enhance the cart.